1. 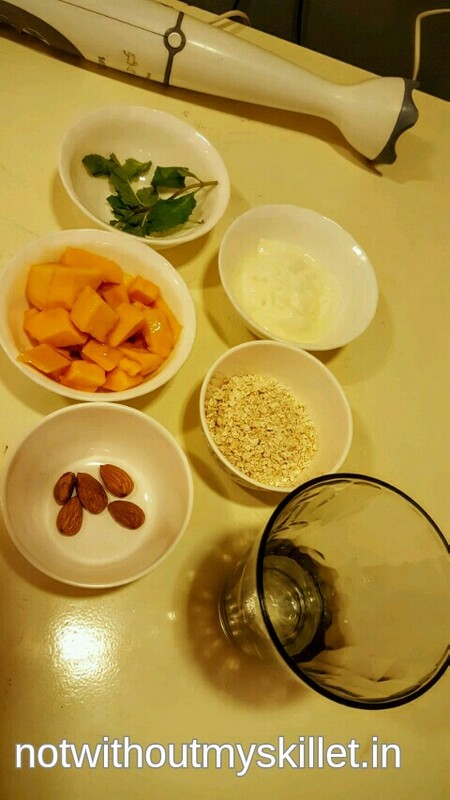 Cut the mango into small pieces and put them in a container along with the oats. 2. Add the almonds, curd and little water to the container. Add sugar if needed. 3. Blend the ingredients using a blender. You can also use a mixer-grinder too. 4. Pour the mixture in a glass. 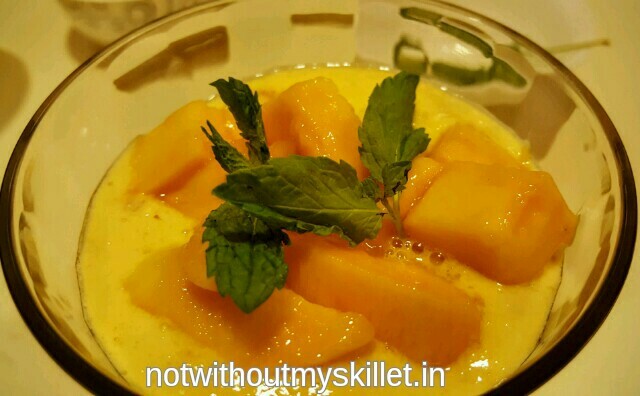 Garnish is with a few pieces of mangoes and some mint leaves. Your mango smoothie is ready! 1. Add cinnamon powder when you whisk the smoothie together. Pour the smoothie in a jar, and chill it over night. Next morning top with mangoes and crushed roasted almonds. Serve cold! 1. Make the smoothie and chill it for an hour or two. You could add cream cheese too if you wish. It will make the smoothie richer. 2. Scoop the smoothie into a jelly bowl or flat bowl. 3. Add a scoop of vanilla ice cream right in the centre of the smoothie. 4. 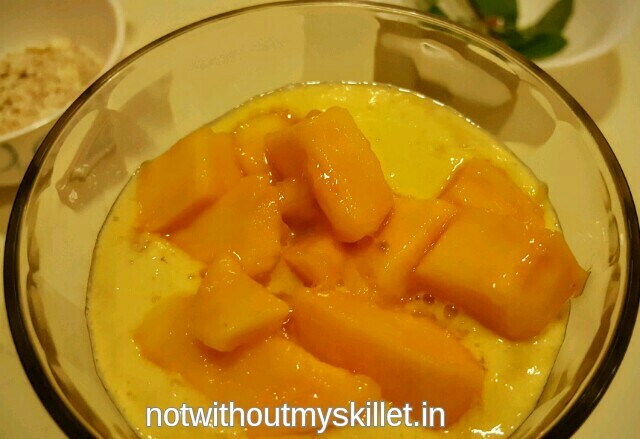 Top with mangoes and crushed roasted almonds. 5. Garnish with mint leaves. 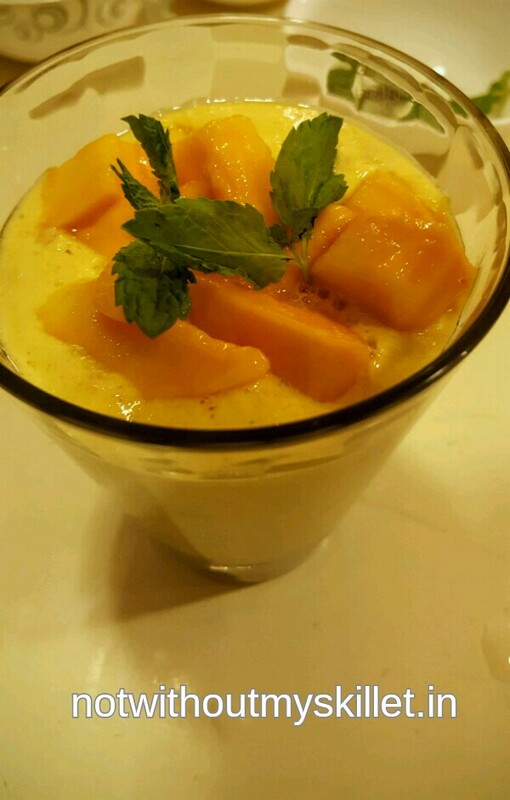 You mango smoothie with almonds and ice cream is ready!